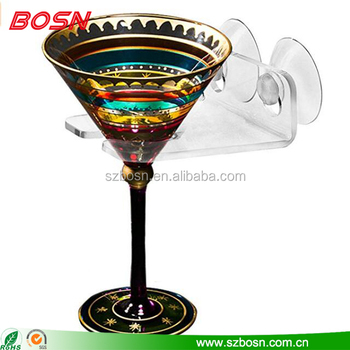 Easy Installation-Connect the suction cups to the wine glass caddy, and push hard against your chosen spot. Be sure to install it on a smooth surface, such as glass. plastic or flat tile,Reusable over and over again. Dishwasher Safe- Can be placed in the dishwasher and is to easy to discard if need be. Great gift - stocking stuffer, Mother's day, employee, Father's day, anniversary, birthday, wedding, bridal shower, couples gifts.